A few weeks ago, when the Rocking Rebel and I were meeting his family for a fun day at the zoo, my sister-in-law brought me a huge bag filled with grapes from her garden. They were gorgeous: dark blue, plum and juicy! She brought me about 4 kilo’s of grapes, so I just knew I had to make something special with them instead of simply stirring them through my morning oats. I immediately planned to make a sweet, Italian grape bread, called schiacciata con uva, which Google-translates into ‘crushed with grapes’, which had been on my t-make-list ever since the Rocking Rebel first brought my attention to it. Apparently, it’s a specialty from Florence that is traditionally made during the grape harvest. I’ll let you know in due time! Anyway, with the bread in the bin, I quickly needed to come up with an alternative recipe. I knew the grapes wouldn’t keep forever and my sister-in-law (thankfully) gave me more than enough to mess things up in the first round. But really, what can you bake or cook with grapes? I had never baked anything with grapes in my life! Needless to say, I had no idea. So yeah, I did stir them through my oats, like I do all the time with grapes from the supermarket. 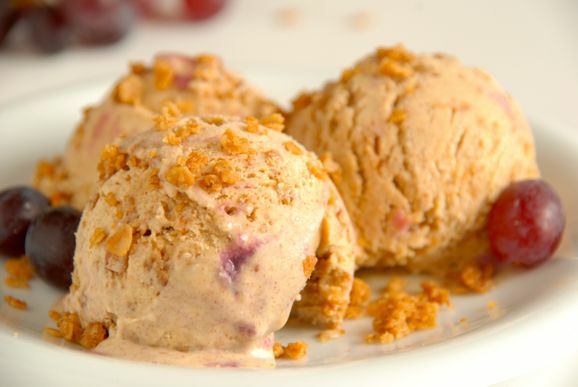 But just as I was lifting the first spoonful of cinnamon oats with slightly warm grapes to my mouth, my next idea hit me: Cinnamon Ice Cream with Grape Ripple and Caramelized Oats! 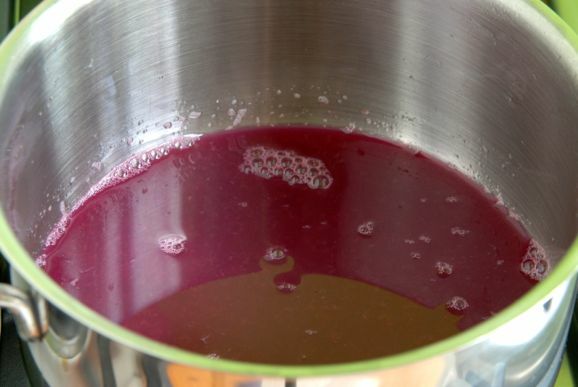 Just start with some beautiful, juicy, purple grapes and turn them into a vibrant, flavorsome grape ripple syrup. 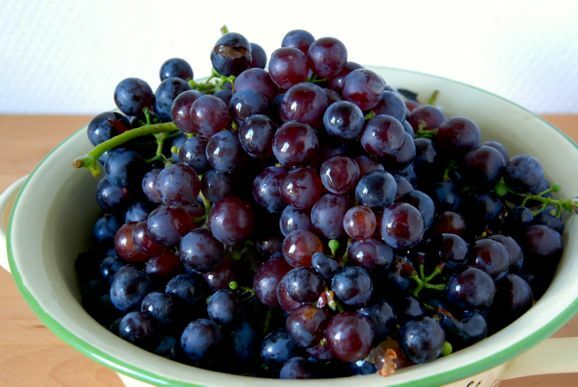 Just wash the grapes and throw them in a big pot with some sugar. 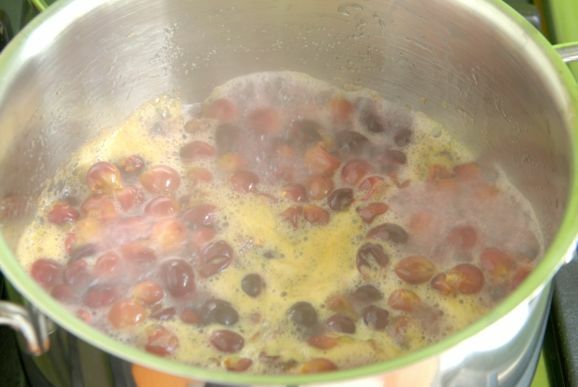 Don’t bother drying the grapes, as the water will help the sugar to dissolve. Bring the fruit to a rolling boil and skim of the scum with a slotted spoon. 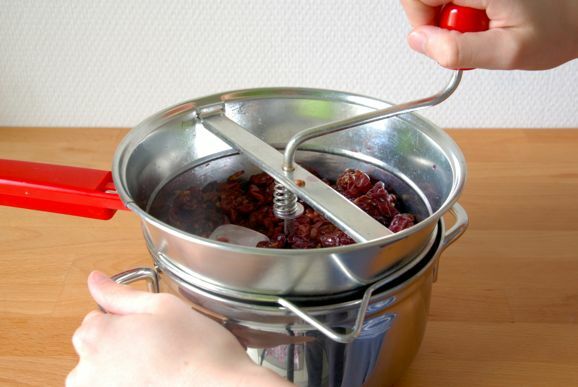 Next, pass the grapes through a fruit mill and discard the seeds and skins. 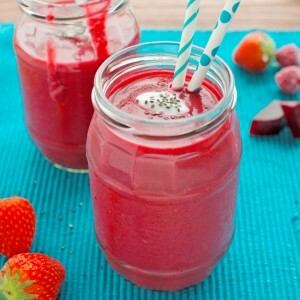 You’ll only want the juices! 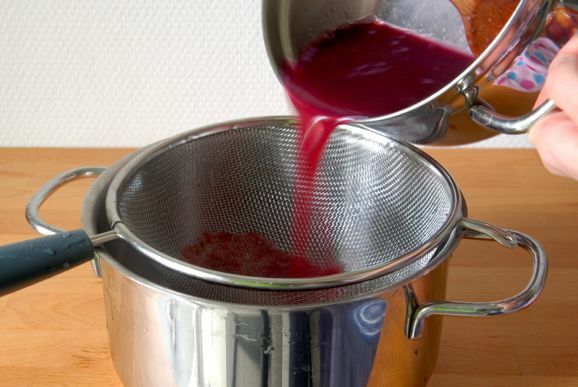 Pass the grape purée through a sieve to make sure that even the smallest seeds won’t end up in your ice cream. Place the syrup back on the stove and cook over high heat for another 10 minutes to cook the syrup down a little, then leave it to cool to room temperature on the countertop. 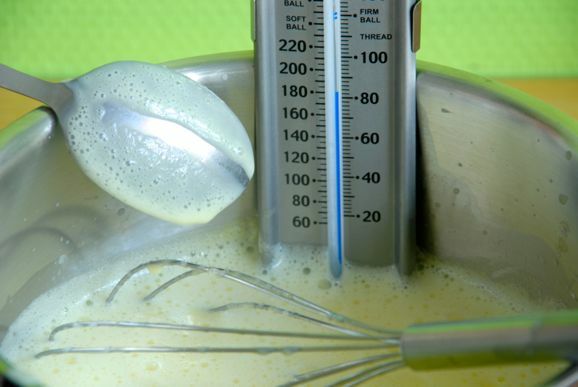 In the meantime, cook up some crème anglaise. I’ve adapted my recipe from Ice Cream God David Lebovitz, who has written several books on the subject. He likes to use more cream than I do, resulting in a richer ice cream, but I like to replace about one third of the cream with whole milk, for a somewhat fluffier texture. … until the mixture is nice and frothy. 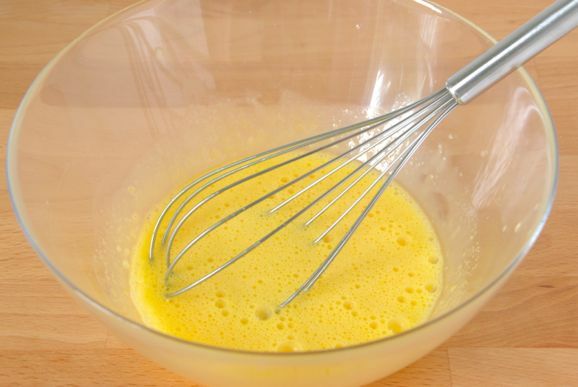 Scald the milk mixture and slowly pour it into the egg mixture, whisking continuously to keep the yolks from scrambling. Then add the mixture back to the saucepan and heat over low heat, whisking continuously, until it thickens into a crème anglaise and coats the back of a spoon. … and stir in a good amount of cinnamon. By the way, the cinnamon somehow makes the crème anglaise quite sticky and (sorry, I really don’t know of a better word to describe it) slimy. 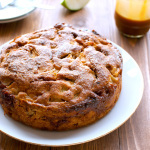 But don’t worry about that though… The final product tastes amazing and has a beautifully smooth, velvety texture. As the ice cream mixture is cooling/chilling, proceed with the caramelized oats. Just a heads up: this stuff is ridiculously addictive! So don’t leave it to sit on the countertop for too long, or you might end up eating the entire batch before the crème anglaise has chilled! 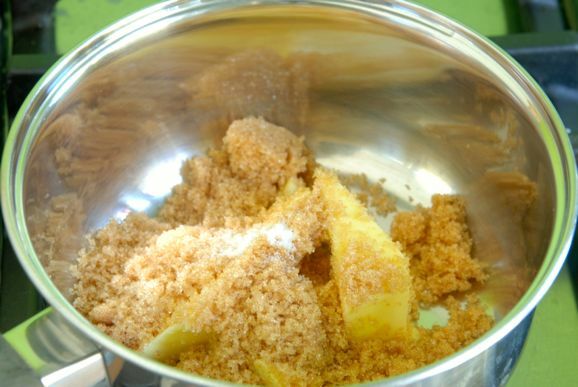 The magic all starts with some butter, brown sugar and salt. … and stir in some oats. 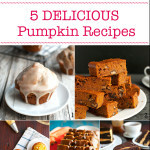 … until beautifully golden, delicious and addictive! Once the ice cream has churned fold in half the caramelized oats. 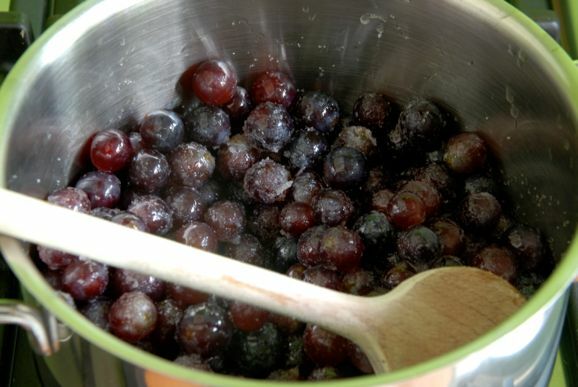 To assemble, pour one third of the grape syrup in a freeze-proof container, add half the ice cream mixture, the second third of the syrup, the remaining ice cream and the remaining syrup. Marble the ripple syrup and the ice cream with a knife, cover with a lid and place in the freezer for a few more hours. Sprinkle with the remaining oats before serving! 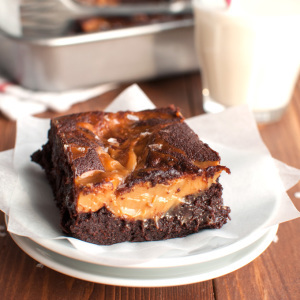 The oats in the ice cream gives it a great chew, while the caramelized oats on top are deliciously crunchy! 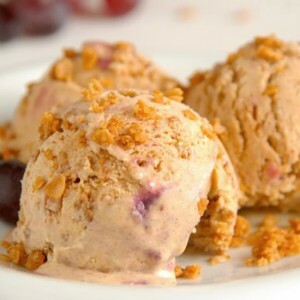 I can’t say the grapes are really the star of this dessert, but the grape syrup is absolutely a wonderful, exceptionally flavorsome and fruity addition to the warm and spicy cinnamon ice cream. 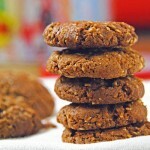 Author: The Tough Cookie. 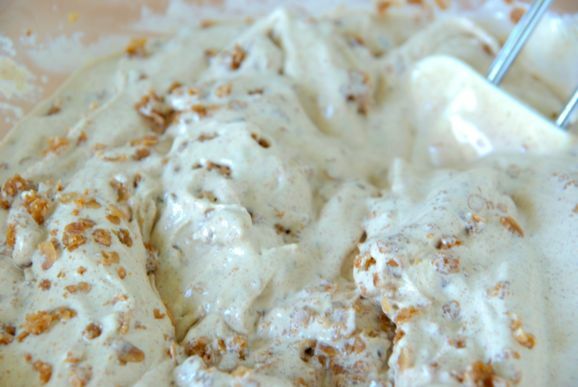 Adapted from David Labovitz' 'Vanilla Ice Cream' (ice cream) and Mama's Minutia's 'Caramelized Oatmeal Topping' (oats). 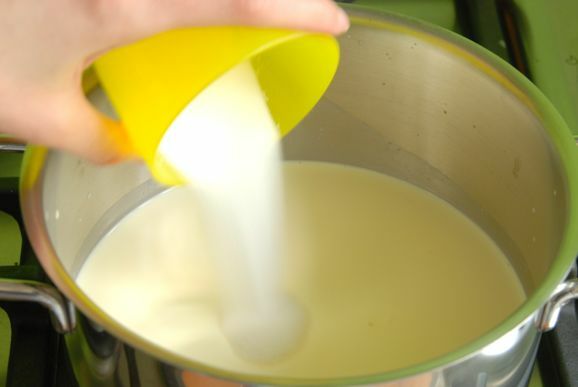 In a large saucepan, combine the whole milk, 120ml of the whipping cream, 100g of sugar and the salt. 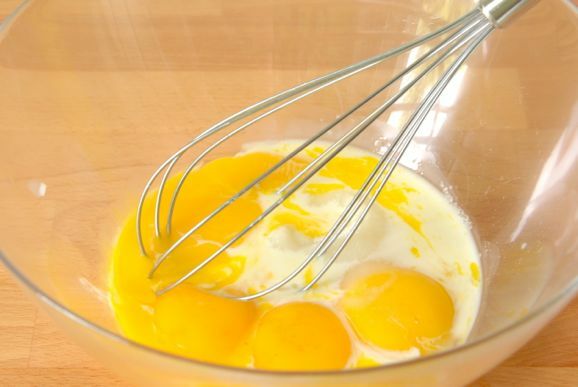 In a medium-sized bowl, whisk together the egg yolks and the remaining sugar with a little splash of the milk mixture. Pour the remaining cream in a medium-sized bowl and set a strainer over the top. Scald the rest of the milk mixture, stirring until the sugar has dissolved. 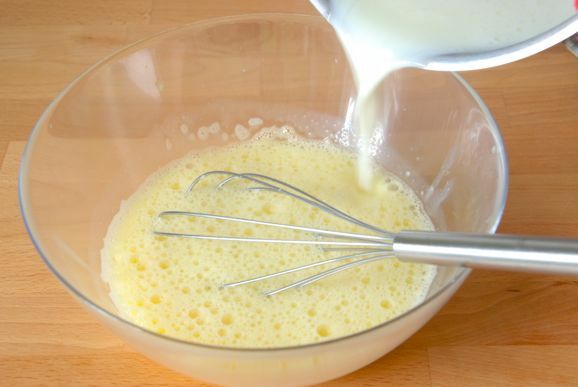 While whisking continuously, slowly pour the hot milk mixture into the egg mixture. Once all the liquid has been added, pour the mixture back into the saucepan. 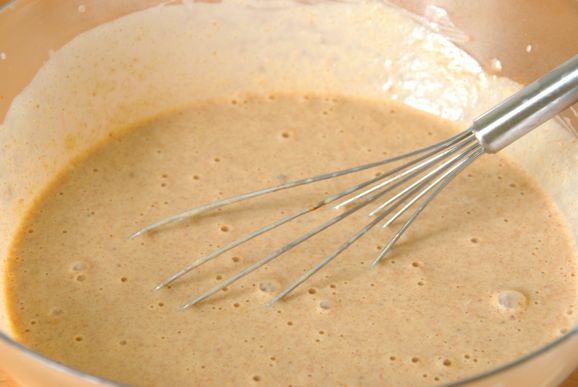 Gently heat the mixture over low heat, whisking continuously, until the mixture has thickened and can coat the back of a spoon. 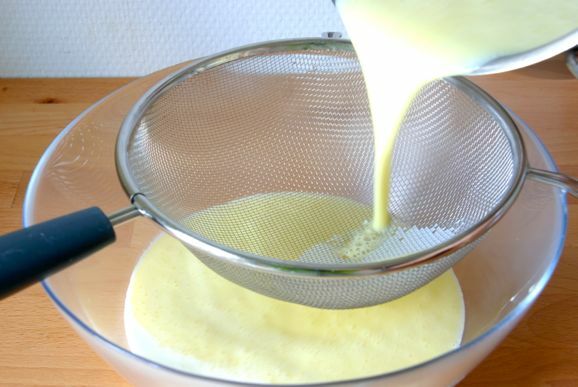 Take the crème anglaise of the heat and pour it through the sieve into the prepared bowl. 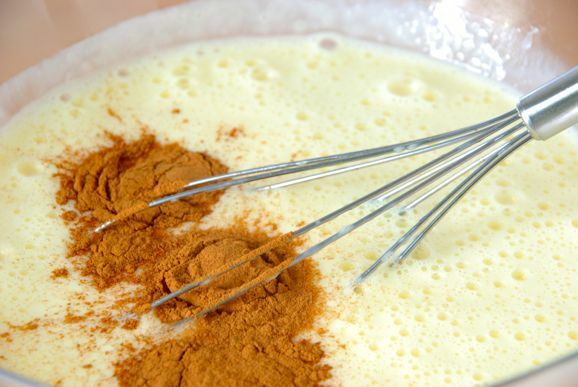 Add the cinnamon and mix everything together with a whisk or rubber spatula. Leave the custard to cool to room temperature, then cover with plastic wrap and chill the mixture in the fridge for at least an hour. Churn in your ice cream maker according to the manufacturer's instructions. Preheat your oven to 160°C or 325°F (standard oven setting). 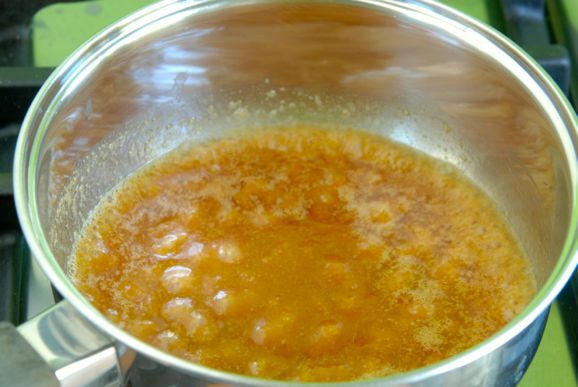 In a small saucepan, combine the butter with the sugar and salt. Heat over low heat, stirring occasionally, until the butter has melted. Bring the mixture to a boil and cook for 1 minute, stirring continuously. Take the pan off the heat, add stir in the oats. 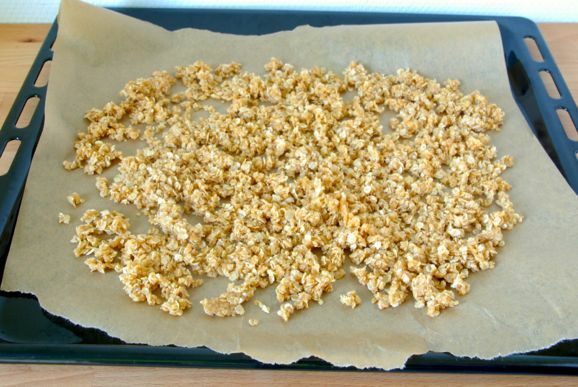 Spread the oats onto a cookie sheet lined with baking parchment and bake for 10 minutes. 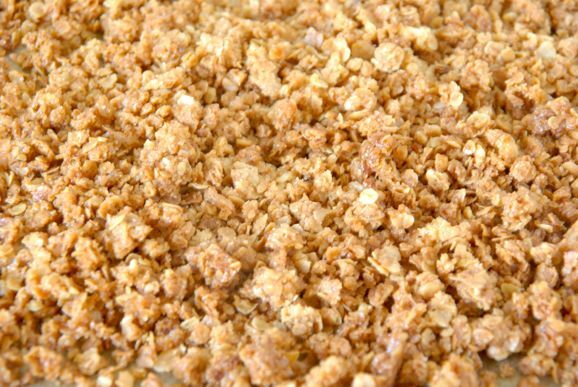 After 10 minutes, give the oats a good stir with a fork, rotate the baking sheet to ensure even baking and leave the oats to bake for 8 more minutes or until golden brown. Leave to cool completely. Start assembling as soon as the ice cream has churned (or, if you are freezing without a machine, has frozen). 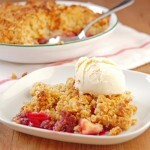 In a small bowl, stir together the freshly churned ice cream and half the oats. 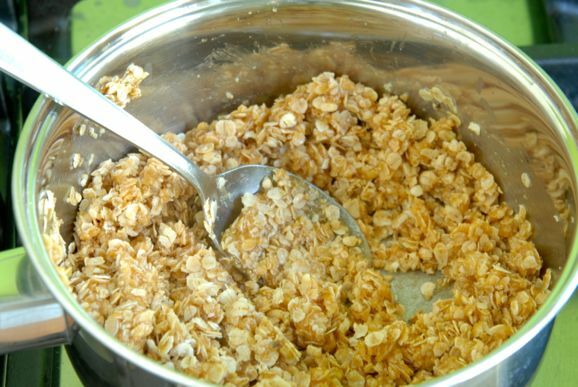 Store the remaining oats in an airtight container until serving. 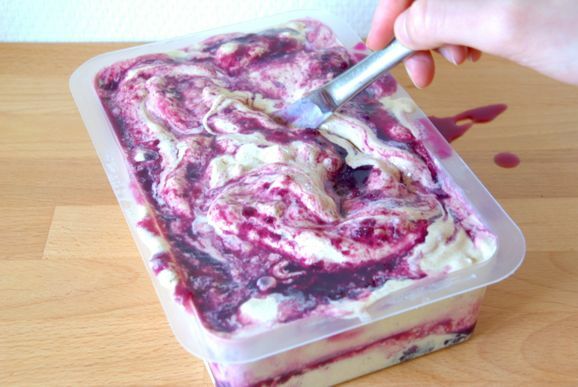 Add half the ice cream mixture to a freeze-proof container and top with half the grape syrup. Add the remaining ice cream, top with the remaining syrup and use a knife to marble the ice cream and grape syrup. Cover the container with a lid and freeze for at least four hours or until ready to serve. 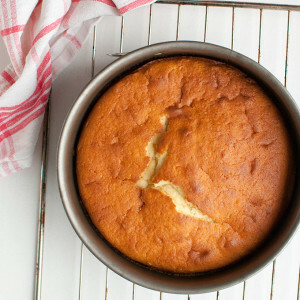 Alternatively, the mixture can be frozen in a freeze-proof container in the freezer. Make sure to give the mixture a vigorous stir with a fork every half hour until the mixture has frozen (this probably takes three hours in total). Although this method will leave you with very tasty sorbet, it will be less smooth than sorbet churned in an ice cream maker.